The latest offerings of the Nike Lunar Force 1 come in this QS "City" Pack. Featuring three colorways, all inspired by some of the famous cities throughout the world. Each pair featuring the latitude and longitude coordinates of that specific city on the insole. First up, the "London" edition. This pair comes in a gym red, gorge green and metallic silver. Featuring a flannel print design throughout the upper. Second, the "New York" edition coming in an obsidian, reflective silver and cool grey. Featuring pinstripes on the side panels. Lastly, we have the "Milan" edition coming in an anthracite, black tea and cool grey. Featuring a tiger print found on the Swoosh on the sides and back heel tab. A limited release, look out for all three pairs of the Nike Lunar Force 1 City QS Pack, the "London" edition, the "New York" edition and the "Milan" edition at select Nike accounts on Saturday, April 20th, 2013. Retail is set at, $140. 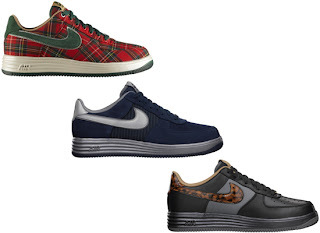 Enjoy the official images of the Nike Lunar Force 1 City QS Pack below. If you're interested in picking up any of these when they release, be sure to check in with your local spots to see if they will be receiving them. If you're interested in picking up the Nike Lunar Force 1 City QS Pack now, you can click here to buy them on eBay. 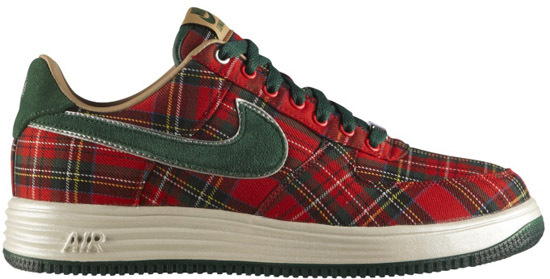 Those of you looking for the Nike Lunar Force 1 City QS "London" edition can, click here to buy them on eBay. 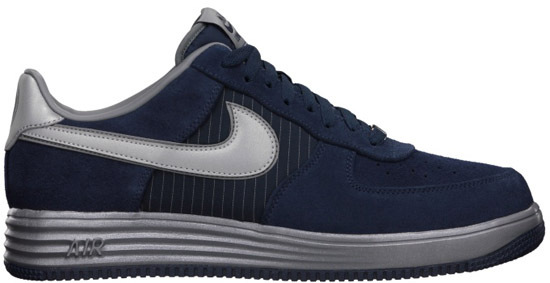 Those of you looking for the Nike Lunar Force 1 City QS "New York" edition can, click here to buy them on eBay. Finally, those of you looking for the Nike Lunar Force 1 City QS "Milan" edition can, click here to buy them on eBay.